Find out about our special Mother's Day offer! 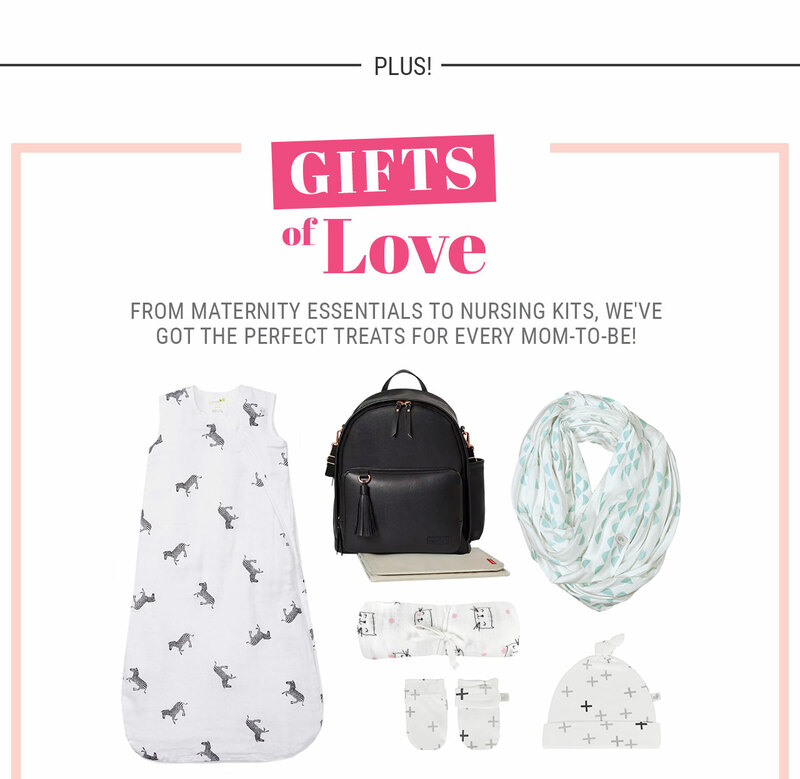 Valid online at thymematernity.com for a limited time. Receive FREE STANDARD SHIPPING on all orders of $99 or more, after applicable discounts, before taxes, shipping and handling, shipped within Canada. Shipping costs will be automatically deducted at checkout from all eligible orders, after applicable discounts and before taxes. 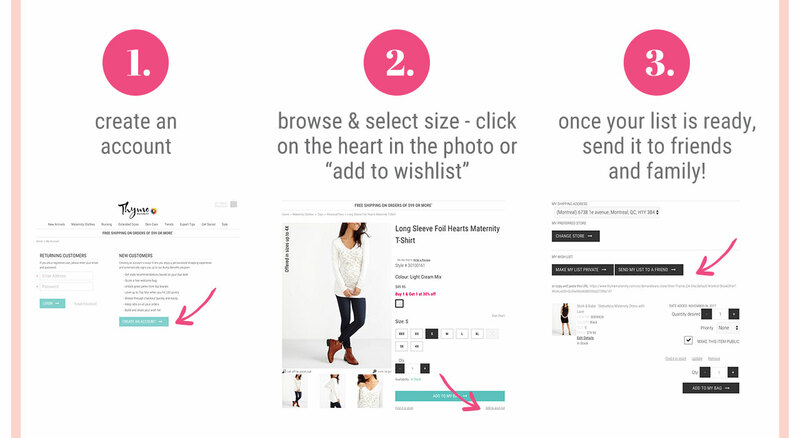 This offer is not valid on previous purchases and international shipments. Additional restrictions may apply. Limited time offer. 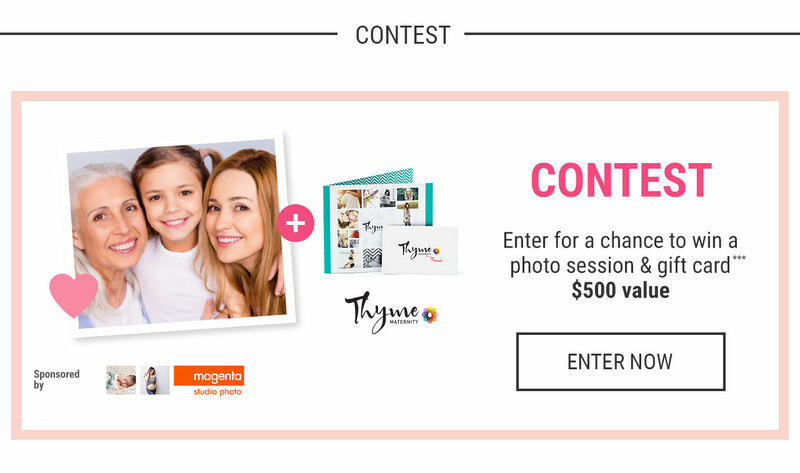 Offer valid in-store and online at thymematernity.com on May 5, 2018 to May 6, 2018 until 11:59 PM (ET). 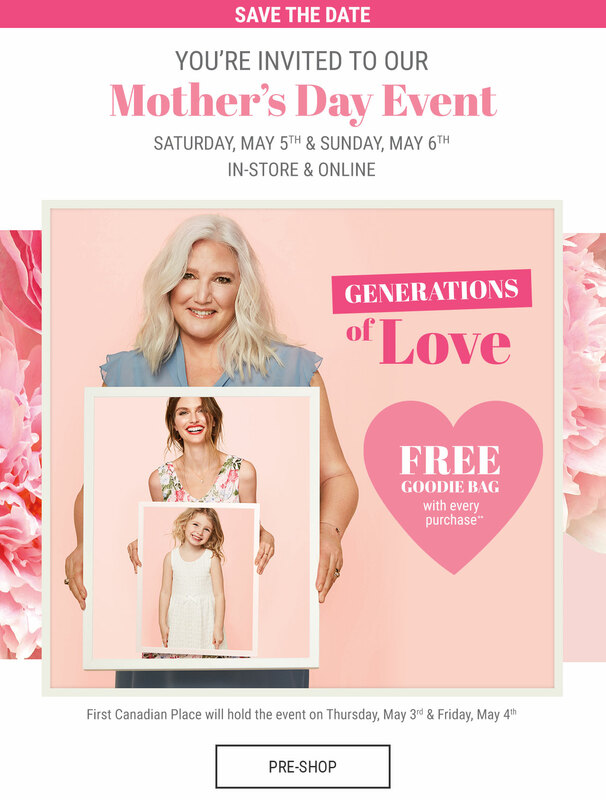 Valid in-store at First Canadian Place on May 3, 2018 to May 4, 2018. In-store, free goodie bags distributed with every purchase, while quantities last. Online, goodie bags offered with orders of one item or more, while quantities last. To receive it, the goodie bag must be added to your cart manually after selecting your preferred language. Limit of one gift per order. Ships within Canada only. Cannot be combined with any other offer, coupon code or promotion. Additional restrictions may apply. Limited time offer. To make sure you receive our emails, please add email@email.thymematernity.com to your address book. If you wish to be removed from our mailing list, you may UNSUBSCRIBE at any time. Please note that it may take up to 10 business days to process your request and unsubscribe you from our mailing list. MONTREAL, QUEBEC, CANADA H3L 1Z2. 40% off! Go, go, go!